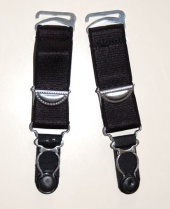 Short 19mm (3/4 inch) wide, non-adjustable suspender strap that has a metal clip to attach your stockings to. 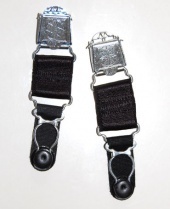 The top has a metal link that you can slip into an existing loop that takes a suspender strap. 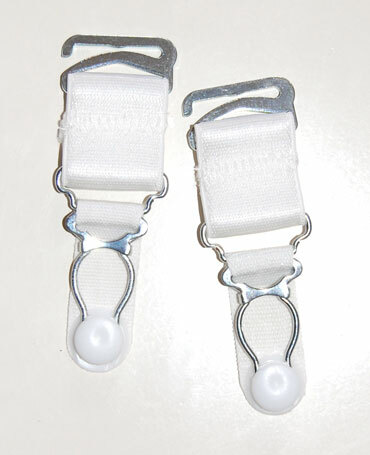 Suitable for the Berdita girdles or any garment with fabric suspender loops. From end to end they are 8cm long. 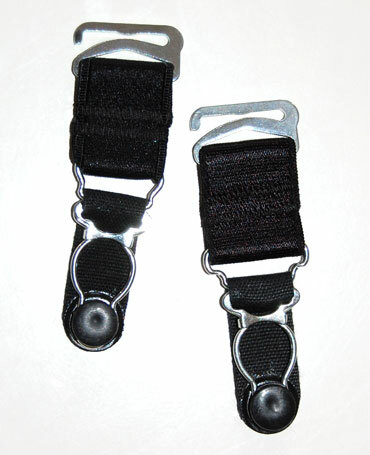 These short hook suspenders can be used to replace worn clips on the bottom of the straps of our Berdita suspender belts. They will make the strap's overall length slightly longer, but this can be shortened using the existing strap adjustment. I purchase these for my elderly mum who still wears a corset. They are ideal as they slip onto the already exsisting loops on her corsets.